Auction site expected to add 200 new jobs. 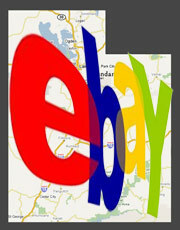 eBay has accepted incentives from the state of Utah and will expand its operations in Draper, UT, the company announced. "We appreciate the economic support we have received on the state and local levels since entering Utah in 1999, and look forward to continuing success in the years ahead," Chad O'Meara, vice president of customer service for eBay Marketplaces, tells The Salt Lake Tribune. When eBay first moved to Utah, it employed 200 people. Now it employs more than 1,000 people in its Draper customer service center, according to reports. The state initially offered the incentives, which come in the form of $1.7 million in tax credits, in May. To get the incentives, the auction site must pay its employees at least 25 percent more than the average wage in Salt Lake County. eBay officials say they will pay employees an average salary of $52,000, which is 27 percent higher than the average wage in the county. The expansion is expected to generate 200 jobs and introduce about $120 million to Utah's economy in the next 10 years in the form of taxes, wages and investments. "eBay has always been a very important business to our city and our Economic Development Department will work closely with them to assure a smooth expansion of their operations," says Draper Mayor Darrell H. Smith in reports. eBay is also planning a computer center in South Jordan, UT. The facility is expected to open in 2010 and employ 50 people. The state also offered the auction site incentives to build that facility. Earlier this year, eBay said it would close its offices in Vancouver, Canada, to help the company consolidate its customer service operations by September. E-bay REFUSES to allow individuals with problems with billing to contact the billing department directly, instead forcing them to go through an agent at a call center. This is unethical and wrong. A lawsuit will be filed in court in Virginia this friday to attempt to correct this issue. Allowing a company to have state and government incentives when they are deceiving the public on a daily basis is WRONG. State offers auction site $1.7 million in tax incentives. Consolidation of North America operations will trim 700 jobs in Canada.